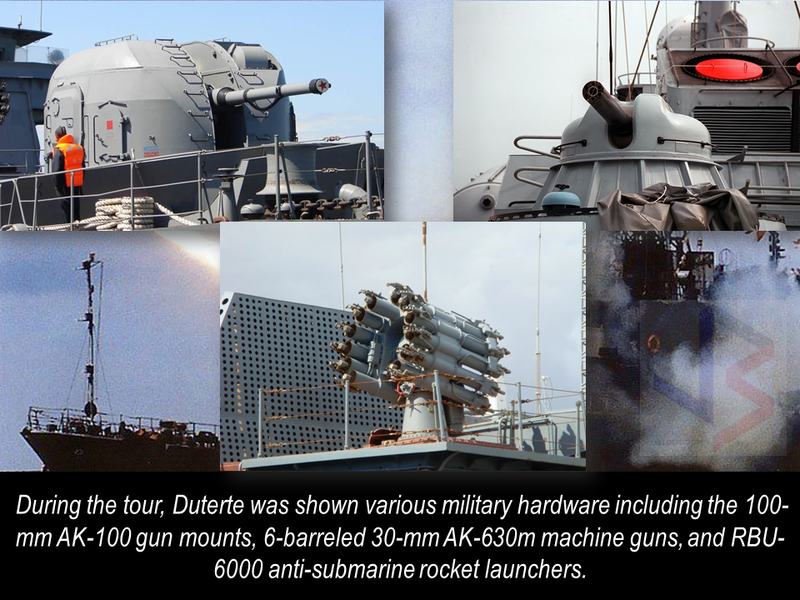 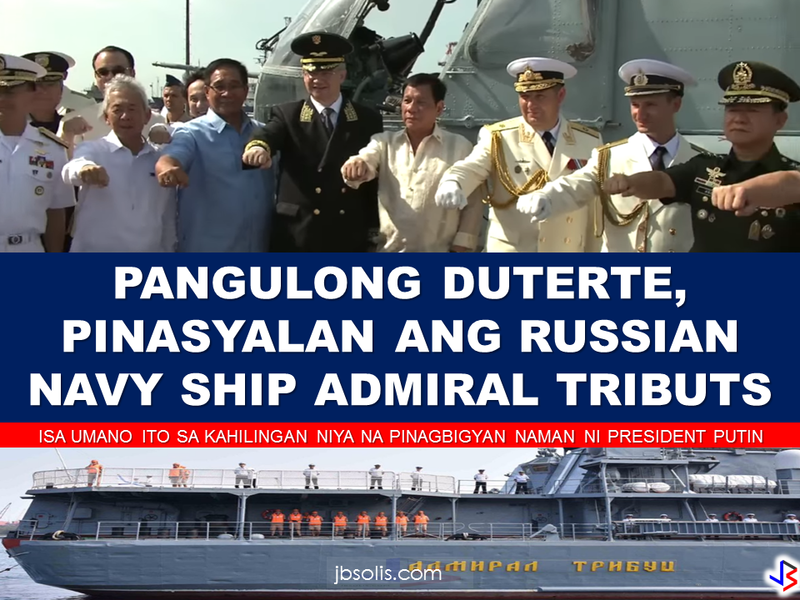 President Rodrigo Duterte visited Russian anti- submarine warship Admiral Tributs docked at Pier 15 in Port. 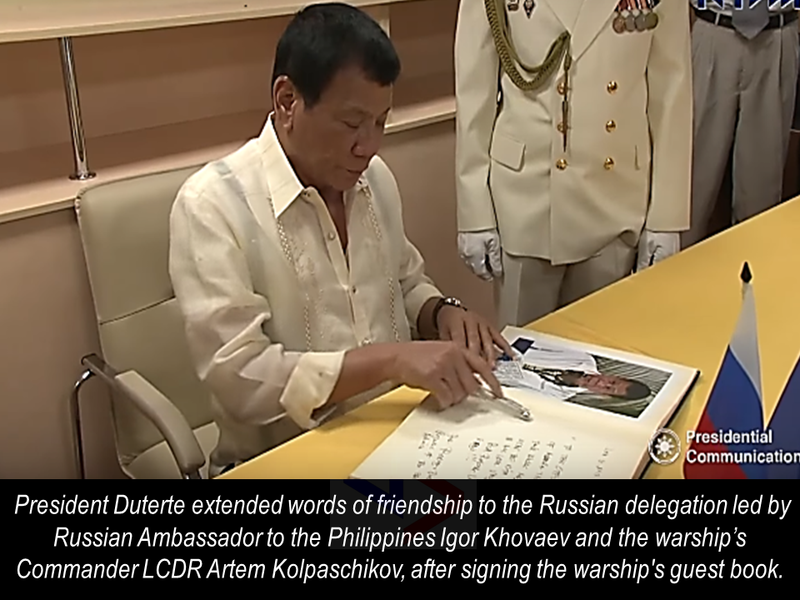 President Duterte extended words of friendship to the Russian delegation led by Russian Ambassador to the Philippines Igor Khovaev and the warship’s Commander LCDR Artem Kolpaschikov, after signing the warship's guest book. 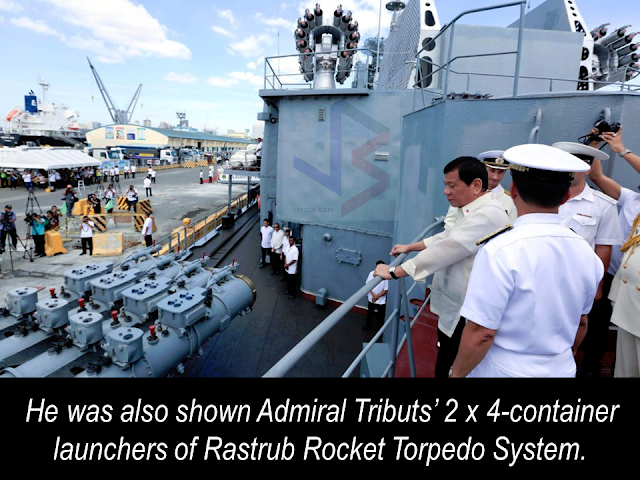 This is the first public apperance of the President this year. The President said that it was him who requested it to President Vladimir Putin during their meeting last year. 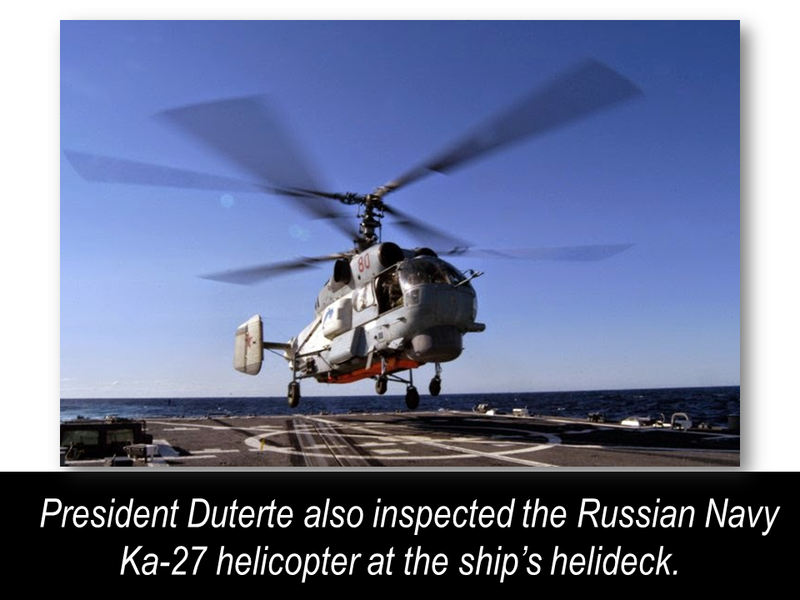 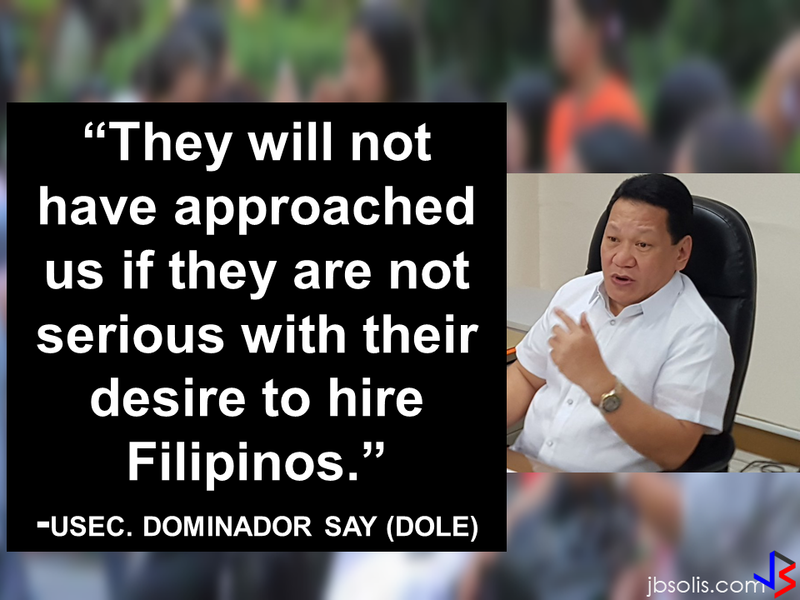 The president once said that he does not want any foreign military forces to stay in the country , but, Presidential Spokesperson Ernesto Abella said that the Duterte administration is not closing any doors for joint exercises for the Russian and Philippine military. Admiral Tributs will be staying at the Phil docks until January 8, 2017. Senator Alan Peter Cayetano, also posted a video onboard Admiral Tributs during President Duterte's visit on the Russian warship.